Rhino 3D Vinyls 8 Year Outdoor Life, UV Protected These branded, high-end, chameleon 3D carbon fiber vinyls are stylish and made to last! Attract attention with these beautiful unique colours!You'll never get tired of this colour changing technology! These are high quality vinyls with a stunning 3D carbon fibre textured effect which reflects light just like the real deal! On top of this, these wonderful colours transform in different lights, changing before your very eyes! Onyx Vinyl’s are amongst the best products of their kind available. They are flexible and easy to work with. Bubble free technology makes it easy to install to a high standard without professional experience. 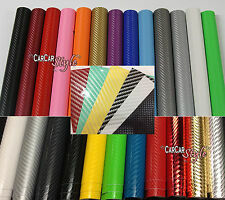 STICKY BACK PLASTIC VINYL FILM. BUY AS MANY AS YOU LIKE JUST PUT THE QTY IN THE BOX ON THE BUY NOW PAGE. We Have a Great Range on, Wallpaper, Borders ,Sticky Back Plastic and many more accessories. d-c-fix® High Quality Sticky Back Plastic is a Vinyl Wrap Film for Furniture Door Renovation / Decoration d-c-fix® marble, granite or stone effect sticky back plastic designs are very authentic looking and can give plain surfaces an expensive look without the price tag of the real thing! Natural stone surfaces are currently en vogue in the world of interiors so try our designs for a luxurious furniture makeover on a budget. d-c-fix® is easy to apply with a low tac adhesion on application, so the film can be repositioned if youre not happy, air bubbles can be pushed out with a smoother to the edge. The film can be wrapped around doors or use a craft knife to trim at the edge. Leave to bond for 24 hours and when you fancy a change, its fully removable too. - Self-adhesive. Erismann Paradisio Wallpaper. Lose yourself in this scenic birch tree wallpaper design from the Paradisio wallpaper collection by Erismann, shown here in shades of grey with delicate glitter detailing on a subtly textured off-white background. Function: mothproof, mildew proof, anti-fouling, landscaping decoration, waterproof, high color fastness. student bedroom dress wallpaper stickers. Enjoy the family of sweet romance, comfortable and graceful. 1 Car Sticker. Stretchable with heat, water resistant, removable and won't harm your paint. PV protection layer on top. Color: Black(As Pictures Show). Note: The real color of the item may be slightly different from the pictures shown on website caused by many factors such as brightness of your monitor and light brightness. The Arthouse Folk Floral Denim Blue Wallpaper is an easy way to add a dash of colour to your walls. Features a striking floral design to really make it stand out. Back To School. Baby & Toddler. Party Accessories. Rasch Grey and White Stripe Wallpaper 286632. The grey stripes and the white stripes are 13.4cm wide each. Paste the paper. 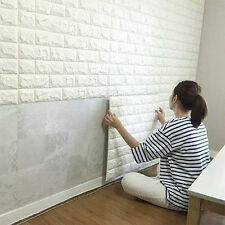 Coverage per roll: 5.32sqm approx. A classical damask pattern is a great traditional way to liven up any room, look no further than this stunning design by P S! Baby & Toddler. A HUGE RANGE OF QUALITY PRODUCTS AT UNBEATABLE VALUE. Party Accessories. 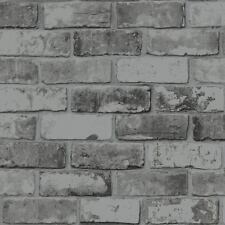 A plain light grey paper with a distressed stone effect. Paste the wall. The main reasons for imperfections are a very slight shade difference which are hardly noticeable. Free match. 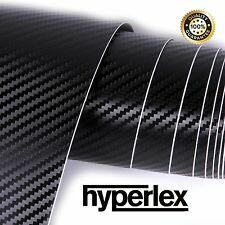 high quality BLACK Gloss Vinyl Wrap Sheet Film Sticker 30cm x 1.52m . 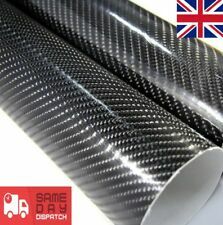 BLACK Gloss Vinyl Wrap Sheet Film Sticker 30cm x 1.52m. 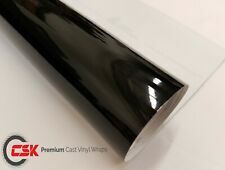 This vinyl will give your vehicle a new look with a Black Gloss finish texture. Cleaning the surface with rubbing alcohol prior to installing the vinyl will help with adhesion and clean any contaminants that may cause imperfections. Product Code: 12629. Holden decor - Fawning Feather Wallpaper. The wallpaper is inspired by feathers and features a fabulous floating design. Wallpaper Type: Modern. Wallpaper Finish: Textured. Application: Paste the Paper. The overall colourway of the wallpaper contains stunning shades of grey, cream and green. Kitchen Accessories. How to apply: Paste the paper. Kitchen Accesories. Classification: Washable - Peelable - Good colour fastness.